Building Wealth Through Home Ownership – Does the American Dream Even Matter Anymore? Like most Americans, I was raised on the dream of my own house. Then, in 2008, I witnessed as this dream fell apart for thousands. I began to question if owning a house is really such a safe investment. Even now I sometimes doubt the wisdom of trying to purchase a home. Yeah, my housing payments each month would go towards my worth and not someone else’s, but that’s only if I can get through 30 years of payments on top of student loans. That is a lot of debt hanging over me to contemplate. Is home ownership worth the cost? Through some research, I have come to the conclusion that smart home ownership almost certainly is. To help you decide, here are just a few ways homeownership is beneficial to your long-term financial health. The Federal Reserve found a homeowner’s net worth is 45x greater than a renter’s. Even in our post-Housing Crisis world, the vast majority of long-term homeowners will see increases in their home’s worth. Homeowners who pay off their mortgage while they are working can have a “rent-free” retirement. Homeownership is starting to look pretty good right? And the above doesn’t even get into the other benefits of owning your home. Just to name a few, it is a much more stable housing situation, you can decide what alterations are made to your home, and you can get that cat you have been begging your significant other for (or maybe that’s just me). Here’s the real lesson to be learned from the Housing Crisis. It is better to save, plan and purchase a house with a mortgage you can truly afford. It is ok to live below your means rather than stretching your finances to get the “perfect” house. It is also ok if it takes time to get to a place where you are ready to buy a house. Don’t know if you are ready or not? 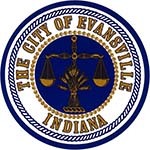 HOPE of Evansville can help. Our housing counselor Tony can look at your finances with you and help you determine if you are truly ready to purchase a home. If you still need some work, he can help you develop an action plan to improve your financial situation. If you are ready to purchase a home, he can help you determine what payments are affordable for you and walk you through the home buying process from pre-approval to closing. Ready to take the leap into homeownership? Contact our housing counselor Tony Ajibade and 812-423-3169 ext. 104 or anthonya@hopeofevansville.org.